Going pro, we can help with that! Become a professional driver today with ADTA. RSA have issued a statement regarding the renewal of Bus and Dual Driver CPC Cards due in September 2018. 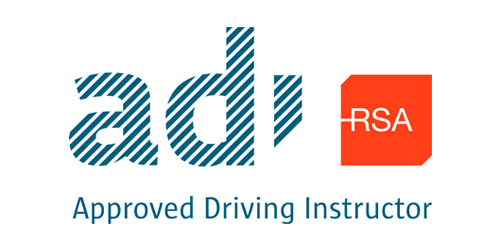 The Driver Education Section have put measures in place so that all qualified compliant drivers – i.e. those who have completed the required number of CPC training modules (5 for bus /truck or 6 for bus & truck (dual qualified) will automatically receive their Driver Qualification Card in advance of the due date. The first batch of CPC cards were processed this week and approximately 7,000 cards are in the process of issuing to the first group of qualified drivers. Earlier this year we issued a text message to all Drivers who are due to renew their CPC cards in September 2018, advising them to check their details (i.e. home/contact address) on the MYCPC portal, and ensure they were up to date. (We already have images and signatures on file for these drivers.) We will shortly be issuing another round of text messages to drivers who have partially completed their CPC training to remind them to complete the outstanding modules in order to receive their card in advance of the September renewal date. The attached leaflet should be printed off and a copy given to all participants at training, in addition you may use it on your website or other forms of CPC advertising. It would be recommended for all trainers to take 5 minutes at the start or end of the training day to remind drivers of the importance of completing their outstanding training and to assure them that their new card will issue automatically once all training is completed. It is important to note that this process refers only to qualified drivers who have an existing CPC card due for renewal. Newly qualified drivers (those who have to complete the testing process) are required to apply directly to the Driver Education Section for their initial CPC card on completion of all four tests. Click the following link for a statement regarding the renewal of Bus and Dual Driver CPC Cards due in September 2018. Driver CPC is a Certificate in Professional Competence for professional bus and truck drivers in addition to your existing license. Its purpose is to set and maintain high standards of safety and driving among drivers of trucks and buses. Use our course dates calendar to view when and where we are holding course pertaining to your needs! We would also encourage you to Subscribe to our email list for all the dates we have courses on! Alternatively follow our Facebook page for updates! 1. Category D licence holders (Bus Drivers) We are now in to the 8th year of Driver CPC training for Bus drivers. All Bus drivers should now be in possession of their Driver CPC card and have completed 3 Driver CPC modules in the 2nd cycle by 10th of September 2018. 2. Category C licence holders (Truck Drivers) We are now into 7th year of Driver CPC training for Truck drivers. All truck drivers should now be in possession of their Driver CPC card and have completed 4 Driver CPC modules in the 2nd cycle by 10th of September 2018. 3. 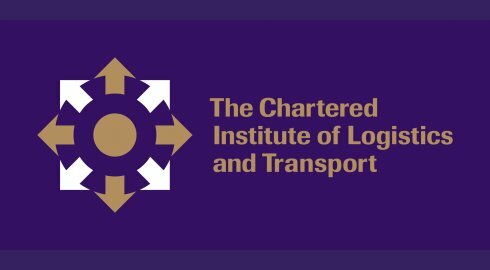 Category C and D licence holders (Person who hold a licence for both Truck and Bus) If you hold both bus (D) and truck (C) licences you are required to have 8 CPC modules completed in your 8th year with the option of covering your extra module. All truck and bus drivers should now be in possession of their Driver CPC card and have completed ALL Driver CPC modules in cycle 1 by 10th of September 2018. It is important to recognise which of the above 3 categories you are in. In doing so it is also important that you know which of the modules you have previously completed. This is to eliminate booking or repeating a module that you have already completed. Please call us to book your place as these dates can be subject to change. Driver CPC was introduced in Ireland on the 10th Sept 2008 for Bus Drivers and came into effect on the 10th Sept 2009 for truck drivers. From these dates, professional drivers will need to take part in continuous training. For someone that holds category D/C they will have to complete 42 hrs training in the five years. If you hold just one category license i.e D you will have to do 35 hrs training completed by Sept 2013 and if you hold just C/EC you will have to have your training completed by Sept 2014. NEW DRIVER INITIAL CPC If you are a new driver you will have to undertake the Driver CPC theory and practical driving tests before getting a Driver CPC. EXISTING DRIVER PERIODIC CPC If you already have a licence for a bus or truck (C/D license) you will automatically be entitled to a Driver CPC and will not have to take a test. Driver CPC is not the same as a Transport Manager CPC. Professional Bus and Coach drivers in Ireland must be the holder of a Certificate of Professional Competence (CPC) from 10th September 2008 and truck drivers from the 10th September 2009. 1. A person holding a valid full licence in the bus licence category on or before 9th September 2008 is automatically entitled to the CPC (acquired rights). A person who qualifies for a bus licence on or after 10th September 2008 must pass a CPC theory test and a CPC driving test, as well as the existing theory test and driving test. 2. A person holding a valid full licence in the truck licence category on or before 9th September 2009 is automatically entitled to the CPC (acquired rights). A person who qualifies for a truck licence on or after 10th September 2009 must pass a CPC theory test and a CPC driving test, as well as the existing theory test and driving test. In both cases the person must then complete a training programme of 35 hours in the following five years in order to retain the CPC. This will consist of one day in each of the five years. Any of the above centres are available on request for groups of 10 or more. For further information on course schedule please contact 044 9345740 / 044 9345467 or Yvonne 086 795 8001.